Founded in 2004, Topstar Technology Co.,Ltd Limited is one of the leading laptop component distributors in China. 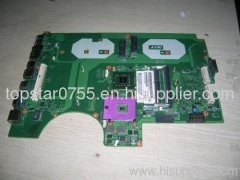 Our company specialized in , laptop motherboards, batteries, laptop LCDs,adapters, and screen lines. We also provide laptop repair service online. We have over ten famous brand products in stock. Every order would be tested before shipment. We also have good after-sales service.